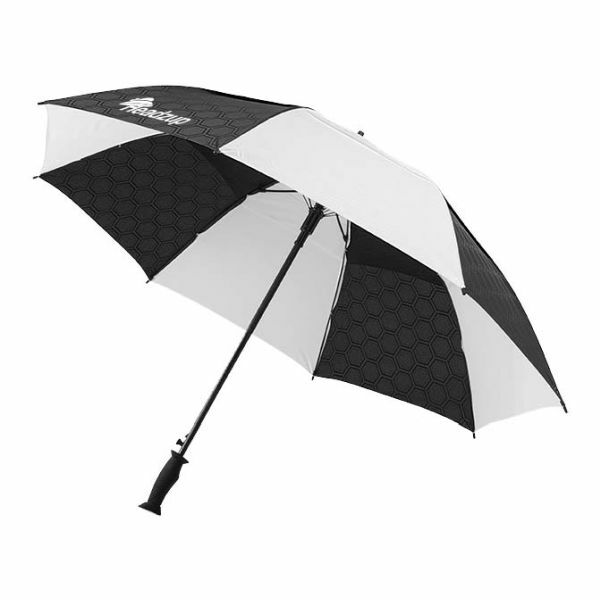 27'' Champions vented auto umbrella. Exclusive design 27'' umbrella with large vented canopy, rubberized handle. All fibreglass lightning resistant construction. Includes carrying case with shoulder strap. Packed in a Slazenger gift pouch. Polyester.